Dovetail Games are finally ready to release their latest game to the world, Train Sim World: CSX Heavy Haul. 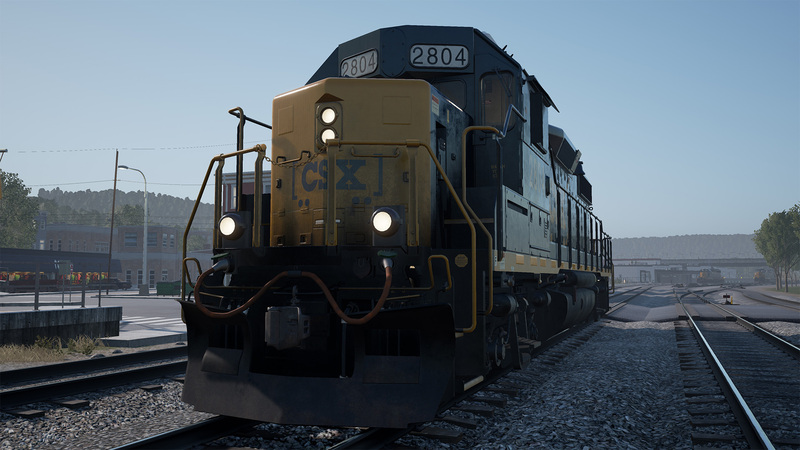 “The first release in the new series, Train Sim World: CSX Heavy Haul, will feature the stunning Sand Patch Grade route, stretching 60 miles across the Allegheny Mountains of Pennsylvania and Maryland in the USA. The game features seven guided tutorials, which cover everything from getting started with the software to operating the locomotives. Newcomers will be introduced to the game via an accessible user interface, which will display prompts and highlight key controls such as power, reverser, automatic brakes and horn to get players up and running quickly and easily. Advanced users will have the choice of using fully functioning in-cab controls with no prompts, UI or highlights. These include digital displays, all braking systems and slow speed controls for coal loading. Train Sim World: CSX Heavy Haul will be available on the 16th of March for £24.99. All players will be offered a launch discount of 10%, with an additional 10% (20% total) for existing owners of Train Simulator. You can preorder the game now through Steam. WHY I WILL PAID € 23.99 THE 20% THAT EC ON STEAM IS NOT GIVEN ME THE MI DATE AN EXPLANATION? Are you just getting 10% off? Confirmed – I too got only 10% discount instead of 20% although I have previously bought TS2017 Pioneer’s Edition and I also had been playing TSW beta.